Located in Vatican City, a 100-acre country within the city of Rome, St. Peter’s Basilica is one of the holiest temples for Christians and the second largest church in the world. Saint Peter, an Apostle of Jesus, became one of the founders of the Catholic Church, was executed in Rome and buried where the Basilica now stands. Completed in 1626, St. Peter's is the most renowned work of Renaissance architecture. It took over a century to build and was designed by master artists, including Bramante, Rafael, Peruzzi, Sangallo and Michelangelo. The first coin in this ten coin series, Masterpieces of Sacred Architecture, depicts the Papal Basilica of St. Peter in Vatican City. 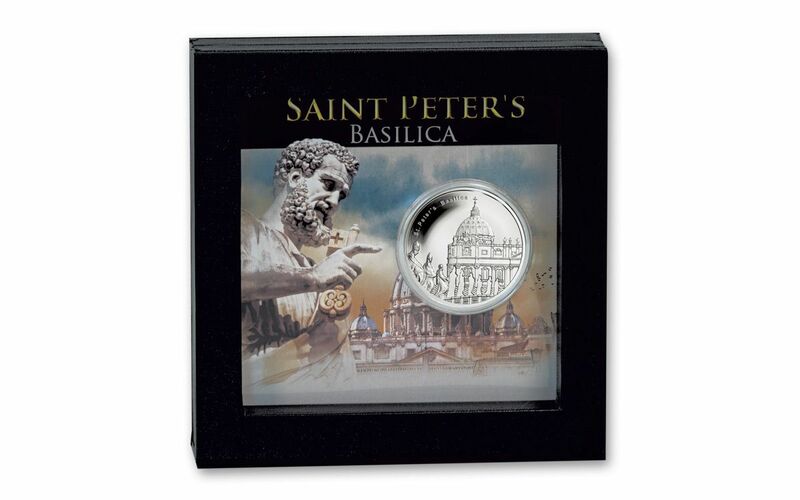 The obverse features St. Peter’s Basilica with the iconic dome designed by Michelangelo. The mirror-like proof background sets-off the frosted architecture in fine detail. The reverse features the coin’s denomination of “500 FRANCS”. 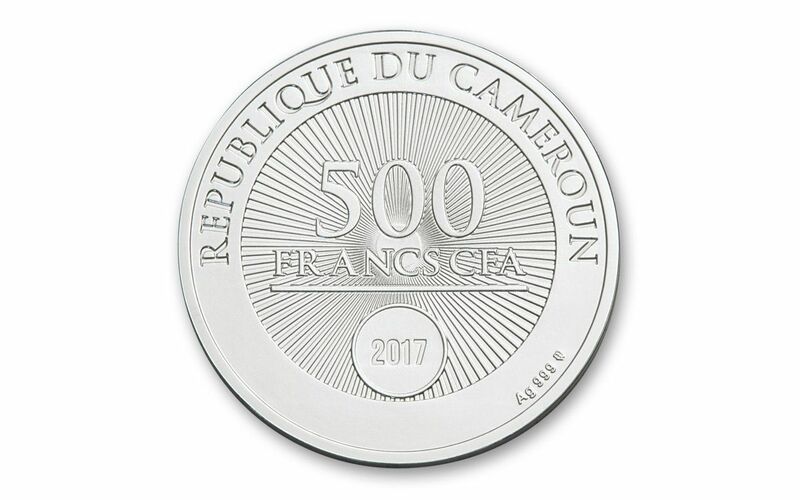 Around the top border of the reverse appears inscription “REPUBLIQUE DU CAMEROON” and on the bottom “2017”. The high craftsmanship, relief and enlarged surface area of 38.61 mm, perfectly reflects even the tiniest detail making this coin a sight to behold. 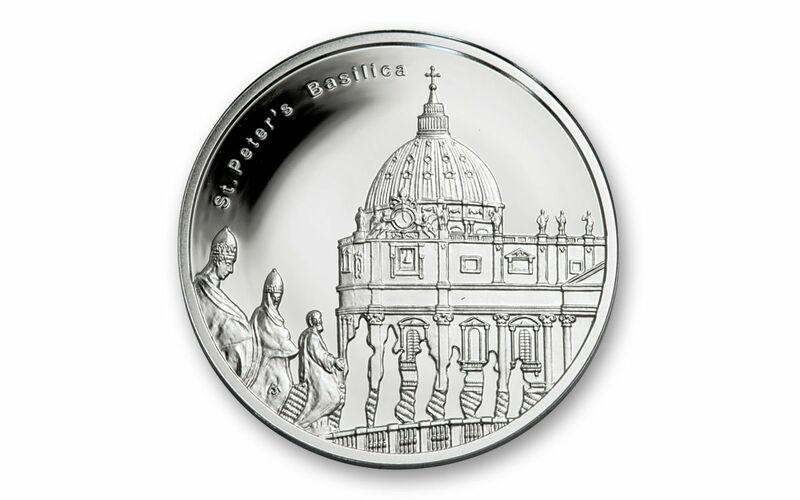 The 2017 10-gram silver St. Peter’s Basilica coin is in proof condition. 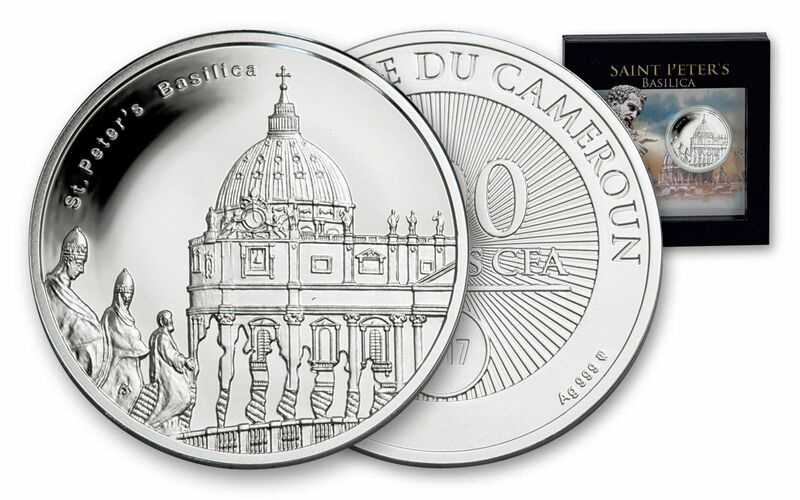 Each coin comes with its Certificate of Authenticity and is housed in a framed display box with an artist’s rendering of St. Peter and the Basilica serving as the background. If you’re a lover of art and architecture we’re sure you’ll want to get the entire 10-coin series of Masterpieces of Sacred Architecture. Order now, you won’t want to miss out on any of the coins featured in this 10-coin series or your collection will be incomplete.